The essential reference book for brass band composers and arrangers. 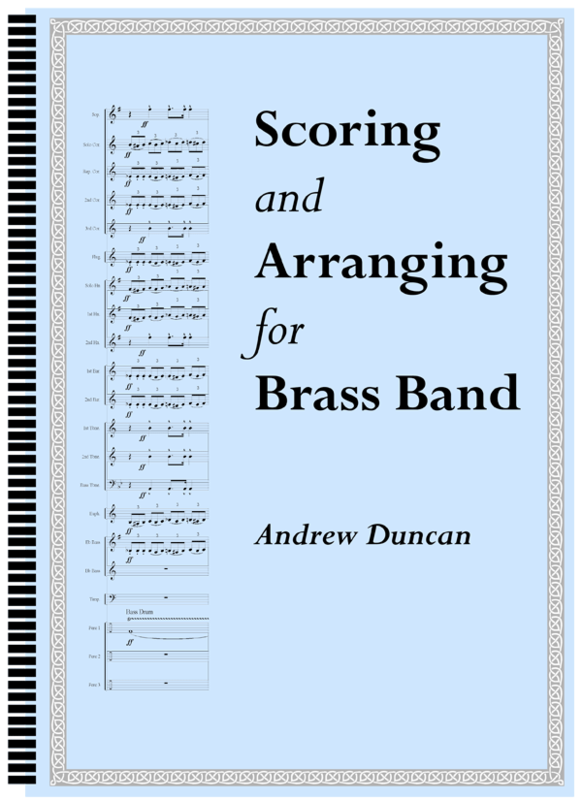 It’s a fully illustrated book with many solutions, suggestions and tips on all aspects of scoring and arranging for brass band. With detailed information on each of the brass band instruments, the different sections and also a focus on the Percussion and Timpani sections. There is also an introduction to self-publishing and the things to consider concerning copyright law. Scoring and Arranging for Brass Band is a must for anyone wanting to begin writing for the British style brass band. It’s a fully illustrated book with many solutions, suggestions and tips on all aspects of scoring and arranging for brass band. The book has detailed information about each of the brass band instruments, the different sections and also includes a focus on the Percussion and Timpani sections. There is also an introduction to self-publishing and the things to consider concerning copyright law. For an in depth review of the book by Iwan Fox of 4barsrest follow this article link to the 4BarsRest website.